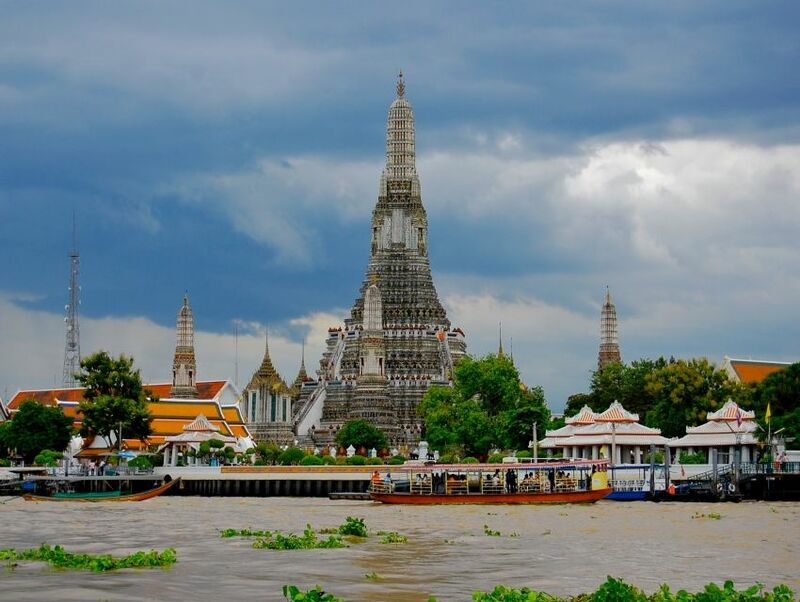 One of the most recognizable landmarks in Bangkok, Wat Arun is a Buddhist temple named after the Hindu god of dawn, Aruna. The temple features a 79-meter (60-foot) central pagoda whose porcelain-encrusted facade famously sparkles in the sun. It also houses four towers symbolizing Mount Meru, a sacred peak believed to be the terrestrial representation of the 33 heavens. In 1767, King Taskin selected Wat Arun as a royal temple because it was the first place in Thonburi to catch the early morning light. The site also notably housed the iconic Emerald Buddha between the time it was recaptured from Laos and later relocated to Wat Phra Kaew in 1875. A visit to Bangkok is incomplete without admiring this stunning architectural landmark.